Peras old shark?How did that get there in the story?Really who would get it out of that ditch? 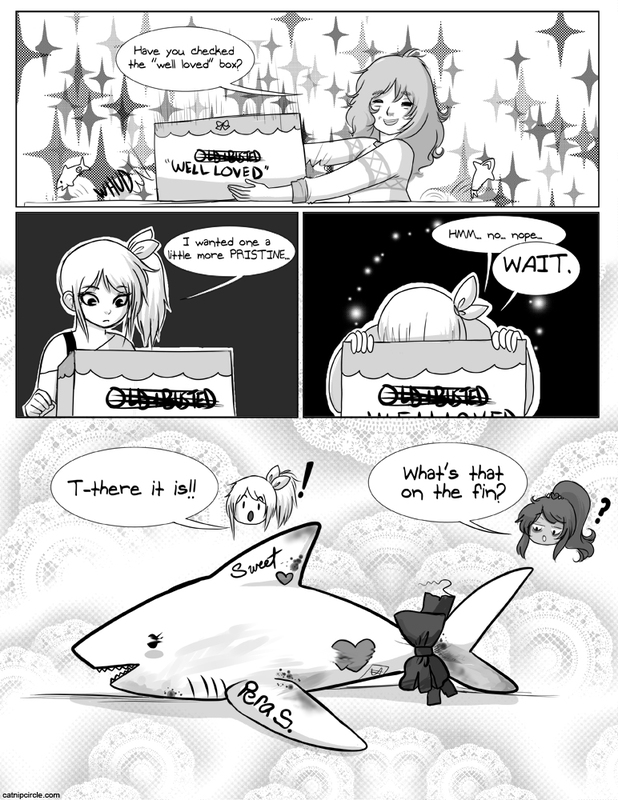 My theory- Guy sees Pera’s shark, likes it, throws it in the ditch, later picks it up & takes it to collector, collector keeps it, accidentally falls in “Well Loved” box, and collector takes it to convention. Then Mela finds it. Hm. Yeah, that theory does work.